Eliminate pavement damage with asphalt repairs from our paving contractors in Methuen, Massachusetts. At Seminara Hot Topping, our first priority is delivering a quality product that will stand the test of time. With more than 30 years of experience, we have the capabilities to fulfill all residential and most commercial paving needs. 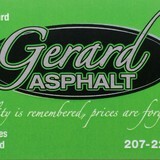 We are local asphalt paving contractors who pave everything from sidewalks and driveways to parking areas and roads. To make sure everything is done properly, we use the finest materials available and our owner is always on-site. Our focus is on the quality of our work not the quantity. Shattuck Paving & Sealcoating is a five star paving and sealcoating company located in Milford, NH, and is growing rapidly. 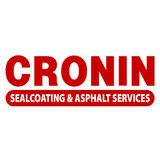 We offer residential and commercial paving and sealcoating services. From installation to repair, Hampstead, NH driveway contractors are responsible for a variety of planning, installation, construction and driveway maintenance services. Driveway installation. Before work begins on a new or replacement driveway, your professional should create plans based on your needs and material choices, as well as your property grade, soil and other New Hampshire landscape factors. When it comes to the actual driveway construction, driveway contractors are responsible for preparing the site, obtaining the necessary materials, making sure a strong foundation is laid, operating equipment and heavy machinery, and cleaning up the site afterwards. Driveway materials. 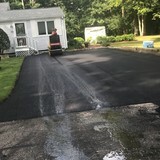 While most driveway contractors in Hampstead, NH primarily work with asphalt, they are also experts on the wide range of available driveway materials. If you are looking for something different than a standard asphalt driveway, your pro can help you select driveway pavers or customize a brick driveway design. A driveway installation and maintenance professional may work closely with a Hampstead, NH builder, landscape professional or various manufacturers and suppliers. 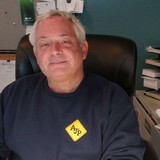 Find a Hampstead, NH driveway installation and maintenance professional on Houzz. Narrow your search in the Professionals section of the website to Hampstead, NH driveway installation and maintenance. You may also look through Hampstead, NH photos to find examples of driveways that you like, then contact the professional or contractor who worked on them.